Over 10 years after it’s release, Sony has announced that it is shutting down the online services for PlayTV on the PS3. 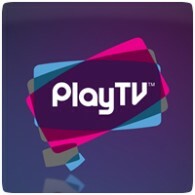 PlayTV was a hardware device and app that allowed users in Europe to watch live over-the-air TV on the PS3, and included the ability to record shows, pause and rewind live TV. Chat TV – live chat for up to 64 users during TV viewing. Premium 7 day EPG – Electronic Programme Guide. Search by actor, director and genre. Manual recording or recordings based on the TV Guide received through the TV aerial should not be affected. Viewing of free to air television and live pause/rewind should not be affected. Which means if you are still using the device, it should remain functional but with limited functionality.